Published 3 weeks ago. About a 7 minute read. Sixth-generation, Somerset, England-based cheesemaker Barber’s — now the oldest surviving cheddar makers in the world, according to its website — produce over 80 tonnes of cheese each day, made from milk from over 100 local dairy farms. Once the milk arrives at Barber’s, though, what becomes of it differs a bit from what happens at your average cheesemaker. As Barber explained, the Barber’s team makes use of all components of the milk — separating any residual butterfat from the whey, to make butter; processing the whey protein for use in infant formula products; and separating the lactose into a concentrated serum that then goes into anaerobic digesters for energy creation, or is fermented and distilled to make vodka. 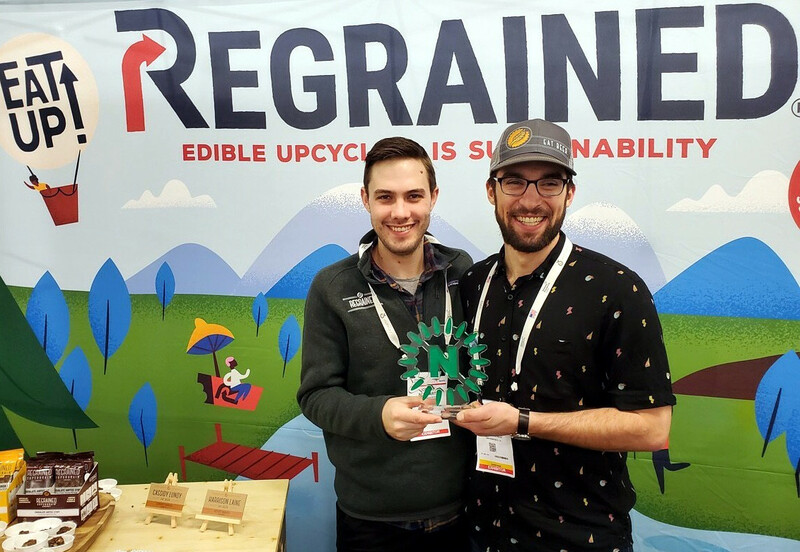 Meanwhile, San Francisco-based startup ReGrained — a finalist in SB’s 2016 Innovation Open, which has made a name for itself with its nutrient-dense granola bars made from spent brewery grains — recently won one of only 4 Editor's Choice NEXTY Awards given out at the 2019 Natural Products Expo West. The Awards were created to recognize the most game-changing and inspiring products in the natural/organic CPG market today; of over 3,600 exhibitors, ReGrained was selected for its innovation, integrity and inspiration; and helping to advance the work of the natural products industry to deliver more healthful, trusted and sustainable products to consumers. The award arose from a challenging discovery for ReGrained. Unfortunately, the company’s first-to-market compostable, plant-based packaging wasn’t keeping its SuperGrain+ bars fresh out in the field. Rather than continuing to risk stale products, the team decided to suspend its use until a viable solution was developed. In a public statement announcing the temporary switch, ReGrained CEO Daniel Kurzrock acknowledged, "In our effort to prove that waste can be designed out of the food system, we began to create waste through staling product." At Expo West 2019, ReGrained shared the story on the show floor and thought leadership stage. The company’s goal is to package in a fully certified compostable film within a year — it is working with the OSC2 sustainable packaging collaborative and other industry experts to achieve this. ReGrained has open-sourced its experience to help lead the industry to broadly adopt regenerative, plant-based alternatives to conventional, petroleum-derived, non-renewable/degradable packaging. At the trade show, ReGrained also showcased its latest product — a savory puffed snack. These extruded snacks feature the brand's hero ingredient, SuperGrain+ — a nutrient-dense, sustainable flour upcycled from rescued brewers' grain and processed using ReGrained's patented technology — and come in five flavors: Mexican Street Corn, Urban Garden, Texas Pit BBQ, Smoked Salt and Pepper and Aged Cheddar. To democratize the final phase of their product development, ReGrained invited Expo West attendees to trial the crunchy snack and provide feedback before the official launch of the product this summer. "We are on a mission to better align the food we eat with the planet we love, and winning the Editors' Choice NEXTY is incredible validation that we are making progress,” Kurzrock says. “We are honored to receive this award and proud to be part of an industry ecosystem that cares deeply about people, planet and a better future!" "These products represent the future of the natural products industry where sustainability and transparency are the norm," says Jessie Shafer, content director at New Hope Network and one of the NEXTY judges. "Our industry can have a huge influence on how big manufacturers and mainstream buyers think about consumer packaged goods. The winners of our NEXTY awards inspire change and integrity in everything from ingredients to packaging." And finally, food-upcycling startup Planetarians has closed a $750,000 seed round with the help of Barilla Group's BLU1877, Techstars, SOSV, The Yield Lab and a group of angels. 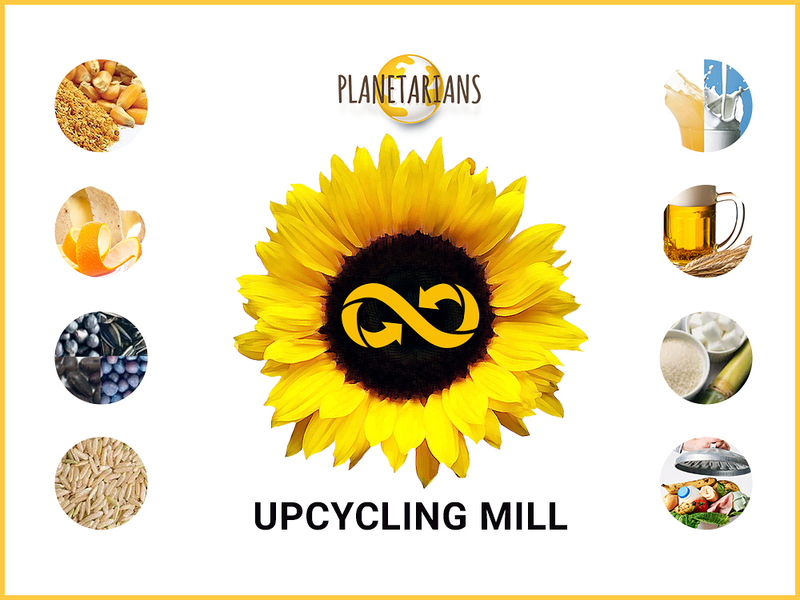 Planetarians is an ingredient tech company, upcycling byproducts and solid food waste into high-protein, high-fiber ingredients that allow brands to create products that appeal to customers who want “better for you, better for the environment” foods. Planetarians technology sterilizes, destroys anti-nutrients and functionalizes fiber in one step. The company’s functional protein flour made from upcycled, defatted sunflower seeds has three times the protein and twice the fiber of wheat flour, at the same cost. High-protein, high-fiber Planetarians ingredients help food brands to convert bakery applications into a good source of protein. The San Mateo, California-based company will use the funding to continue trials with customers and enlarge the range of product applications from already tested snacks, pasta, bakery and meat applications to noodles, breakfast products, dips and purees. In 2017, Planetarians completed feasibility tests at the University of Minnesota and received an equity investment from TechStars Accelerator. The following year, the company released chips made from upcycled ingredients, which resulted in 69 percent month-to-month growth on Amazon, and showcased ingredients at IFT and SupplySide West. Planetarians was recently selected as one of 15 innovative startups shaping the future of food by FoodBytes! by Rabobank. Planetarians will present its technology at FoodBytes! San Francisco March 28 -- where it will also sample its pasta created with Barilla and its flexitarian meatballs created with Amadori for investors, media and industry attendees.